The Guatemalan Screech-Owl had been previously grouped together with the Vermiculated Screech-Owl. This classification has been recently shown to be improper and clarified. Further studies have clearly separated these owls and the AOU (American Ornithologist Union) has accepted this as its own species. The screech-owls in Central America have been poorly studied and the future will show more divisions in this group of owls. Here on owling.com we have tried to clarify this group. On this page you can find photos, recordings and information to help identify and enjoy this beautiful owl. 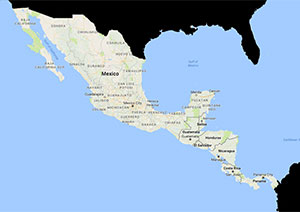 The Field Notes section includes a North and Central American range map and information on nesting, habitat, description and identification. 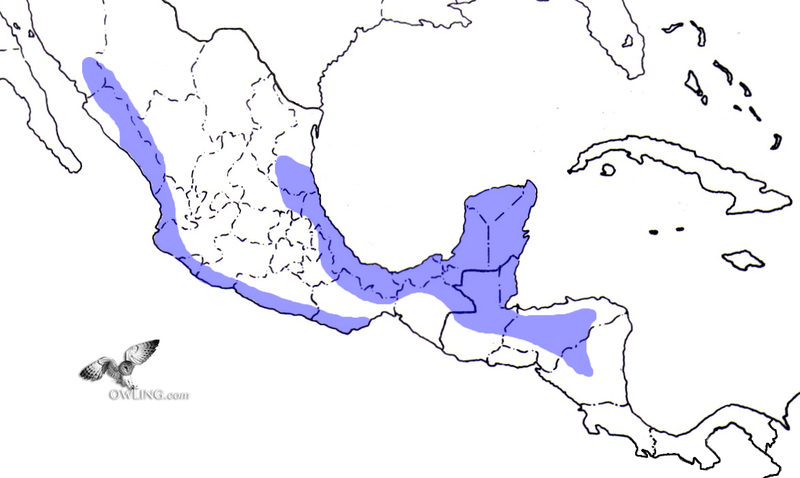 These are primary territorial calls in different lengths given by different individuals. This is to show both how the calls can not only vary in length but also in tone within one set or trill (see the field notes below for more details). 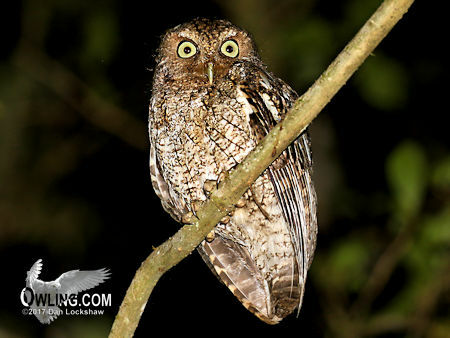 The Guatemalan Screech-Owl was previously grouped together as a race of the Vermiculated Screech-Owl (Megascops vermiculatus) although it has clear differences in behavior, vocalizations, and appearance. 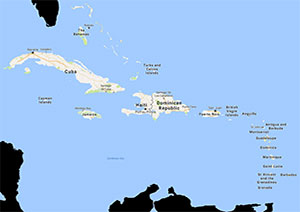 Research in Central America is needed and we see obvious classification clarifications and DNA analysis needed in some of the Central American owls. This is a certain candidate and we have made this division here, as many other authors have. 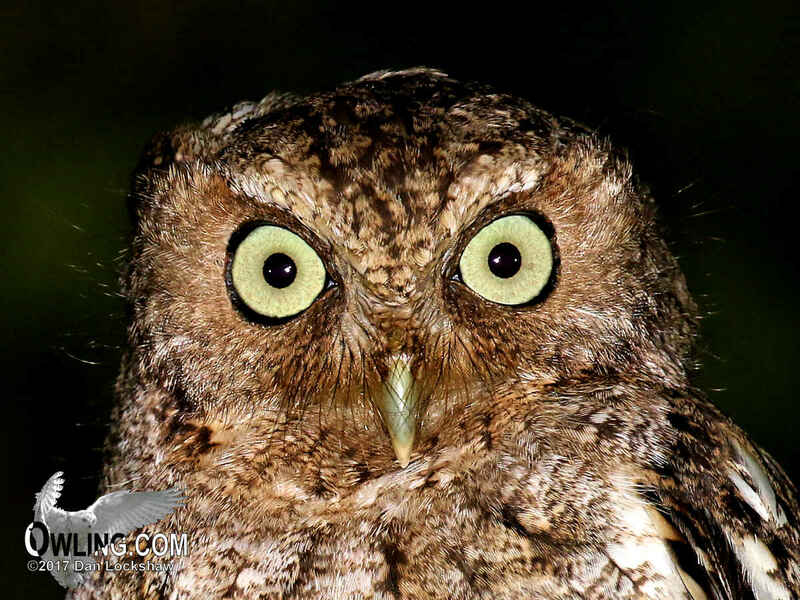 The Guatemalan Screech-Owl, like most screech-owls, is strictly nocturnal. 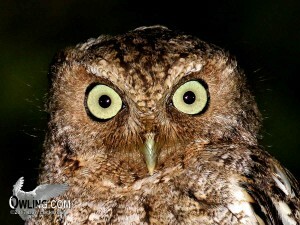 It is very similar to the North American Screech-Owls in size and appearance. Length is about 8 1/2″ (about the size of a Red-winged Blackbird). Its under parts have streaking and fine crossbars that are not as bold as with other North American screech-owls. It has a dark brown coloration (rufous morphs occur also); yellow iris (eyes); gray to greenish yellow bill and noticeable white eyebrows. 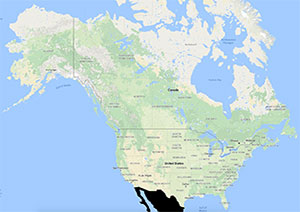 Its range overlaps with the North American screech-owls but it has a distinctive call. It is a common to fairly common owl within its range that extends from southern Sonora south to Oaxaca, Mexico in the west and Tamaulipas, Mexico south to northern Nicaragua in the east. Its range is geographically distinct from the Vermiculated Screech-Owl, is feathered on its tarsus (lower leg above feet), and is much more secretive in its behavior. 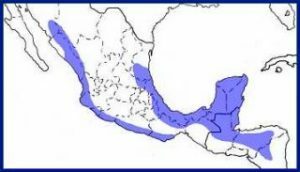 It inhabits low to middle elevation (sea level to 4500 ft), semiarid evergreen forests to humid lowland to dry thorn forests. It has a soft call that carries well and can be deceiving. It prefers a dense habitat and can be very hard to locate. The Guatemalan Screech-Owl may have the most ventriloqual (sounds like it is coming from another location) call of any owl in North or Central America. The call is given in sets of very rapid notes (trill) that last usually from 3 to 15 seconds. The call starts low in pitch, goes up, and then abruptly ends (or may waver waver up and down in tone within the trill). These sets are generally spaced about 5-7 seconds apart (maybe much longer). 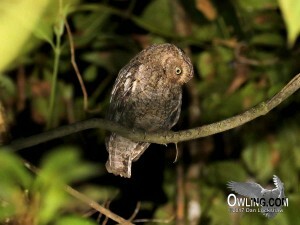 Because of its close physical appearance and overlapping range it is best to confirm this owl’s identification by call. 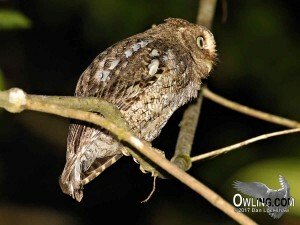 The Guatemalan Screech-Owl usually nests in March and April and has 2 to 5 eggs (normally 3). It responds well to play backs or imitated calls but can be very difficult to see. Sometimes it can be seen making insect catching flights from thick scrubby areas and forest edges. It feeds mostly on large insects but may also take lizards, frogs and small mammals.